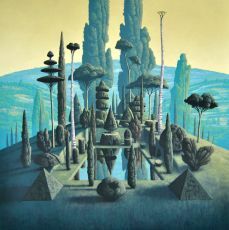 Born in Den Helder, The Netherlands - 1976 - A young artist with a considerable and amazing oeuvre. He creates a world he wants to live in, a place of silence, the eternity of the moment where escape from the hectic daily live is achieved. The notion of timeless is very important for him. 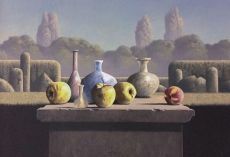 He combines his landscapes with still lives on the foreground. 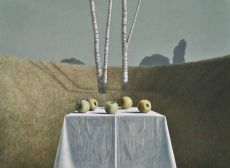 The still life and the landscape together form... Read moreBorn in Den Helder, The Netherlands - 1976 - A young artist with a considerable and amazing oeuvre. 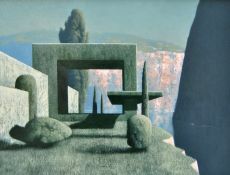 He creates a world he wants to live in, a place of silence, the eternity of the moment where escape from the hectic daily live is achieved. The notion of timeless is very important for him. 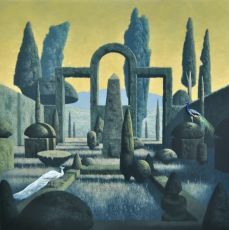 He combines his landscapes with still lives on the foreground. 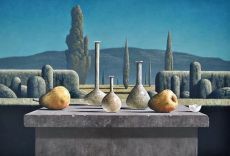 The still life and the landscape together form a combination of a timeless atmosphere. 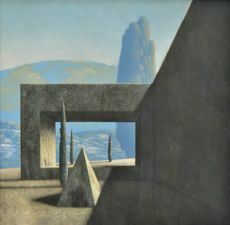 Muller feels related to painters like Vermeer, Chardin, Hynckes, William Baily, but also Fra Angelico, the contemporary Pietro Annigoni and of course his great inspirator Giovanni Bellini. 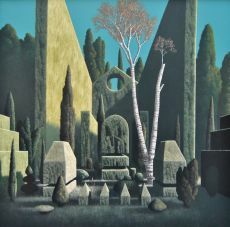 The light in his paintings is always muted and filtered, there is no black or whitest white. 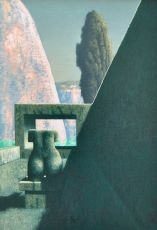 In the paintings the background is a still life as well as the foreground. 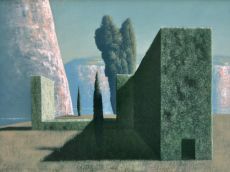 Against the backdrop of a tight staged, Tuscan landscape he places a composition of utensils, which each look like coming from ancient times. 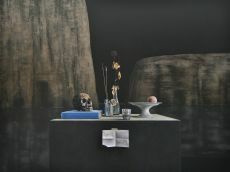 The matured still life – literally a ‘natura morta’- strengthened the stillness of the ‘eternal’ landscape behind it, an atmosphere of timelessness. 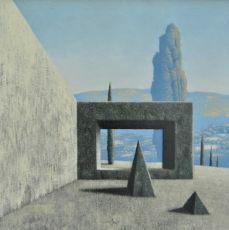 The artist himself: ‘This atmosphere is very important to me, the idea that the landscape is standing still, no sun, no wind, no rain, no time, only an everlasting constant.